We are the most popular limousine service in Orlando. Whether you need a luxury vehicle, a professional driver, or a more complete service, Orlando Vintage Limousine can provide you with the very best. Though some events in and around the Orlando area are sure to require specific vehicle types, we are more than capable of accommodating your specific requirements with our full fleet and professional, experienced drivers. With Orlando Vintage Limousine, you can rest assured that you will arrive at and leave your event in safety, comfort, and luxury. If you need Disney transportation, Universal Studios Transportation, Port Canaveral Transportation, or anywhere in central Florida we can accommodate your family with ease. We can pick you up directly; if you are coming in or departing from Orlando International Airport, we try to supply the best 24/7 transportation in the whole Orlando area. Just jump in and get whisked away to wherever your destination is. We know all the hotels nearby and can also take you out to town if you are trying to do some Orlando sightseeing along the way! The time with your loved one is important and precious. The big day calls for a celebration to remember, or if you are just in the mood for a romantic ride, we can help you with that as well. Professional transportation for a special event can easily enhance the entire experience, as we can provide the sleek, professional, stylish, and comfortable transportation that many people value so much for special events. The time to chill should be tension free, we can get you there in first class treatment. Coming straight from the airport, or just want to do it right for the day, we can help! The prom is one of the most important and memorable milestones of a young person’s high school experience. Transportation to and from the prom can make a big difference in the experience, for instance, arriving at prom in your personal vehicle may not be quite as exciting and memorable as hiring a professional, sleek, and stylish limousine service. We are committed to enhance the elegance of any wedding, and our professionals are dedicated to taking care of all of your transportation needs so you can rest assured, confident that your wedding will run smoothly. Cool excitement tickles you in the back of the neck as you see that clean machine coasting down the street to swoop you for the pickup to your birthday. Imagine sinking in our plush leather seating as you and your entourage sip some spritzer while jamming out to our sound system. Corporate events require a considerable amount of planning and extra caution. One of the many important details to consider in planning a corporate event is transportation to and from the venue. When searching for the best transportation, it is important to find a company that will be professional and punctual. As we will service you and your business stakeholders with first class treatment they really deserve. Get to celebrate your up and coming ceremony with one more night on the town. Parties require specific vehicle types, we are more than capable of accommodating your specific requirements with our full fleet and professional, experienced drivers. We have limos with the right tempo, including halo lights, full bar ice and state of the art sound-system. At Orlando Vintage Limo our goal is to provide you with the best experience possible with guaranteed on time, efficient service combined with 5-star comfort and style. We strive to exceed your expectation with each ride you take with us. With us, everyone gets celebrity status. If you have event that needs specific transportation needs you can also count on Orlando Vintage Limo services to there every step of the way. Events like Prom, Homecoming or a Birthday Party can be made that much more exciting when being driven around in one of our premium vehicles. Other events are quite popular for getting transported by our professional staff and luxurious vehicles. Events like Bachelor & Bachelorette Parties, Weddings or just a fun Night Out in Orlando with your friends. You might even want to travel in style for business should you be on the way to the Amway Center for a convention. Whatever your transportation needs, you’ve come to the right place. We are committed to delivering the best in class, taste, and distinction, all while making sure to take special care of you and leave you safe and satisfied. We offer a wide range of services both locally and, through our affiliate network, in most cities across the United States and around the world. Choose from our fleet of stylish, modern vehicles, from stretch limos and SUV’s to vans and coach buses, from classic luxury to executive style. Simple events were one or two people need to be chauffeured around can be done in a Lincoln Town Car Limo. 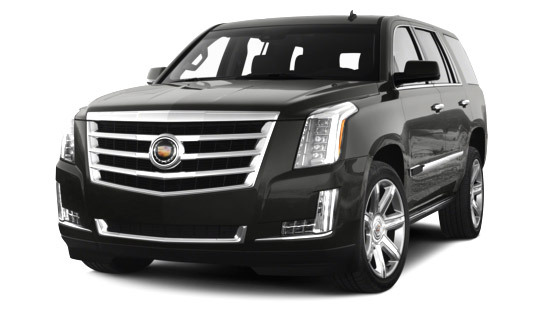 If you are in the need to move more than 4 or 6 people around the area, the Cadillac Escalade ESV might be a much better fit for your needs. Whether it’s just you or a group of 100 of your friends or colleagues, we have a vehicle to suit your needs. Mini buses and coach buses are also available for larger groups and can still provide plenty of comfort for your needs. Popular destinations around Orlando include Disney World, Discovery Cove and Sea World so arriving at your destination quick, safe and in comfort is our top priority. Traveling in style might mean the Mercedes Benz S550 for some, but could even be the Hummer H2 Limo for another group, either way Orlando Vintage Limo has you covered. Just remember that Orlando Vintage Limo has the chauffeur services that you want and need. We can come pick you up anywhere in the Orlando, Florida area and get you to your final destination in comfort and style. Let our company help you with your travel needs when you are in the area and that way you are not worried about renting a car, getting extra insurance, putting on more miles than allowed and even getting the car back in time. Having someone else do all of the driving is the best way that you can enjoy your destination vacation in Orlando. Check out our rates and make sure you make reservations to travel in style! To endure travelling in a dynamic way that, it stays no more the simple travelling but, becomes a special journey. We aim to provide high-quality and dedicated Transportation Services in Orlando, and to meet the Transportation needs of every customer in immensely sumptuous manner so that our customer’s journey stays delightful amusing and enjoyable throughout.